I don’t blog much anymore, but for posterity’s sake: KCBS Radio has been slowly switching over to a new set of jingles over the past two weeks (at least). The last pieces fell into place today, with a new jingle for John Madden and a new intro after CBS News at the top of the hour. They’re a little punchier than the old ones, but it’s still the same four-note sequence they’ve been using for decades. I searched on the web for more info and came across my old blog post on a previous time KCBS changed its jingle, in 2004, which I had completely forgotten about! In between, KCBS also changed them in 2008, when it started simulcasting on 106.9 FM. Hi, I’m from Newtown, Connecticut. When I last visited Newtown, I not only met up with my friends, I also visited my teachers at my elementary and middle schools. Most of them were still there, and they still remembered me, 12 years after I had moved away. I ended up talking with Mr. Bird’s class, explaining why computers crash and teaching a few Chinese characters. I’m not sure when I will be near Newtown again, but when I am, I will visit. And to Mr. Bird’s class of 2001: “guinea pig” is 豚鼠. Ariel Hsing has had a great run at the Olympics as a member of the U.S. table tennis team. She was the only American to make it past the first round, she upset a former world champion in the second round, and she pushed the eventual gold medalist to the limit in the third round before losing in six tight games. And she’s friends with Warren Buffet and Bill Gates. Did I mention she’s from the San Francisco Bay Area and is only 16? Computers are capable of doing amazing things, but in reality, they’re really dumb. You have to give them precise instructions on how to do something. If you get it wrong, they can’t guess what you want them to do. I find taking a task, breaking it down into smaller pieces, writing instructions to do those small tasks, and putting it all back together inherently satisfying. You get a sense of mastery by getting a sophisticated piece of equipment to do what you want it to do. Before writing any new code, I need to consider how it will work with code that Google already has. It’s like building a structure — you could slap your addition onto an existing building, but that could destabilize the whole structure. Or you can carefully design your addition so that it integrates well with what is already there. So I will meet with my colleagues to discuss the problem I’m solving and how I intend to solve it, either face-to-face or through e-mail. I may also write a design document that gives all of us one document to refer to. Sometimes I write code with a colleague, especially if the code is tricky. This process, called pair programming, lets one person type while the other looks up documentation or spot errors on the fly. It can be intense but also more fun, since you’re sharing your joy (and pain) with someone else. It also reduces distractions, since you can’t check your e-mail while your partner is waiting. Once I’m done writing a piece of code, I then need to integrate it with the existing code. But before I can do that, another software engineer must review the code that I wrote. He or she may (and probably will) point out bugs that I need to fix before integration. I also review the code of other engineers. A straightforward way to try out computing is to take AP Computer Science in high school. Since the test uses the Java programming language, you may want to also take the Java programming class that Monta Vista offers, the year before taking AP Comp Sci. However, suppose you don’t find either the Java class or the AP Computer Science class that interesting, but you’d still like to explore computing. Don’t give up! There are plenty of alternative approaches to learning how to program, a fundamental skill in computing (but not the only one), which you can try on your own. You can also try these before going into AP Comp Sci. There is also an interactive website for learning how to program called Codecademy. If you’d like to learn programming in the context of a more visual and dynamic environment, Processing is a popular language for creating visual art and animation. By the way, you still have to pay attention to your other classes. Besides math and science, writing and speaking are the most useful skills in your career. If you can’t get your point across to your colleagues, your great ideas will never be accepted. There are many different ways to teach computer science. For example, Carnegie Mellon, Harvey Mudd, and Georgia Tech design their programs to attract and keep women and underrepresented minorities to computing, which the field desperately needs. No matter where you go, I highly recommend doing summer internships. These are becoming more and more important for getting a job after college, or for getting into graduate school. Internships expose you to how different companies operate and give you some real world experience.While I was in college, I did two summer internships (IBM and Microsoft). Getting a PhD in computer science means you want to deeply explore a specific topic within a specialty of computer science. This means that the school you will apply to will depend on what specialty you want to go into, such as artificial intelligence or operating systems. For example, the University of Wisconsin-Madison has an excellent program in databases but is not a great choice for human-computer interaction. Just one day after his keynote at Apple’s Worldwide Developer Conference, Steve Jobs made an appearance last night at the Cupertino City Council to present the company’s plans for a new campus in Cupertino, on the old Hewlett-Packard site. 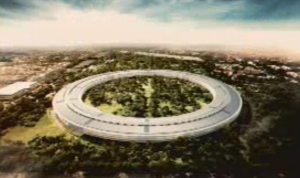 It essentially consists of one giant building shaped like a doughnut that will hold 12,000 people. It will be surrounded by open space, and the parking will be mostly underground. How accessible will the open space be to the public? In the slides that Jobs presented, Pruneridge Avenue disappears. Where does it go? Is it eliminated? Does it go underground? Does it become a private street, serving only the underground parking garage? What are the plans for the existing redwood grove and the historic Glendenning Barn? I’m sure that the final result will be pretty close to what was presented — I can’t imagine Cupertino giving Apple a really hard time. And even though it would still be a corporate office park instead of a more urban neighborhood, it would be a really nice office park, better than what is there now. By the way, I grew up in Cupertino and I still live nearby, so I know the area very well. And I echo Mayor Gilbert Wong’s desire to open an Apple Store in Cupertino. Too bad the city’s Vallco Mall is such a basket case.